Nuna MIXX Carrycot is the perfect addition to your Nuna MIXX Pushchair, and connects without the use of adaptors. 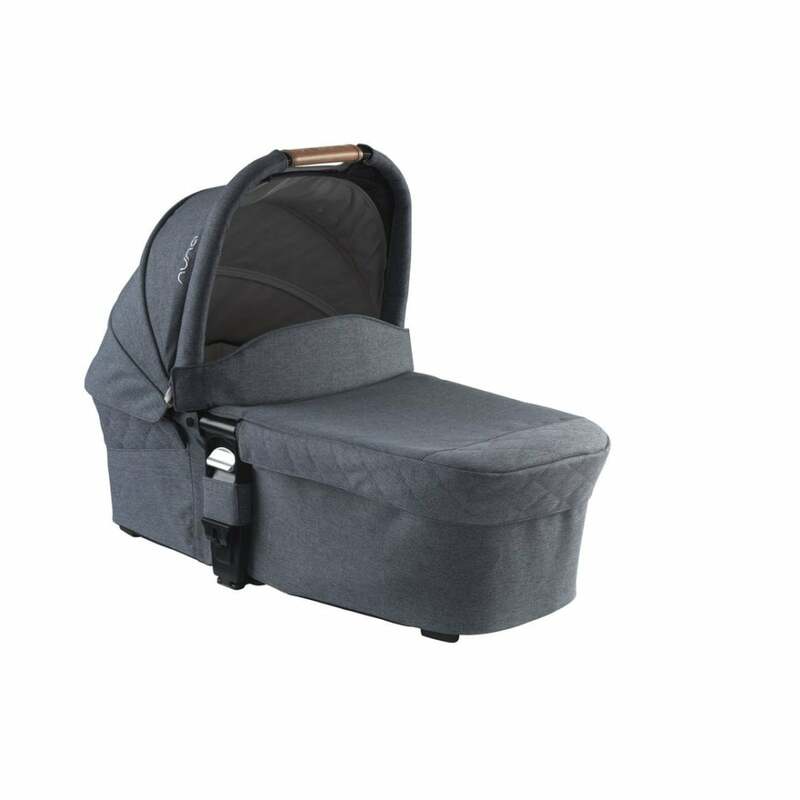 The Nuna MIXX Carrycot is recommended to use from birth to 9kg. Or, until your child can push up on their hands. Why should I buy the Nuna MIXX Carrycot? The Nuna MIXX Carrycot is stylish and smart. Plus, it perfectly connects with your Nuna MIXX Pushchair. Importantly, you also get to enjoy the fun part too: You get to push them around the neighbourhood straight to the land of nod! It has a sun canopy of UPF 50+ and a dream drape which means that your baby will always be protected from the elements in this carrycot. Plus, the integrated mesh panels allow for all-season comfort. They ensure your baby enjoys a good level of air flow. The MIXX Carrycot features a hidden storage compartment. This is both removable and washable for those any accidental spills! Additionally, the soft mattress cover and top cover are also machine washable. Plus, the top cover is also removable. It has quick release magnets for your convenience. The MIXX Carrycot has non-slip feet too. This adds security. It also boosts cleanliness whilst you're using your carrycot separately. For your comfort, the carry handle of the Nuna MIXX Carrycot is luxurious leatherette. Also, the handle is hand-sewn. This adds subtle elegance to your pushchair and carrycot. The compact, flat fold of this carrycot means that you can easily transport it. It will take up minimal room in the boot of your car. Take your newborn anywhere with the Nuna MIXX Carrycot. What are the specifications of the Nuna MIXX Carrycot? Is there a Manufacturers Warranty for the Nuna MIXX Carrycot? Nuna offers a 2 year warranty starting from the day your product was purchased. This excludes accessories. Applies to UK mainland only. What is the Nuna MIXX Carrycot compatible with?